It’s mid-summer and I’m guessing you’ve already heard “I’m bored” (ah…to be able to say this again!!) 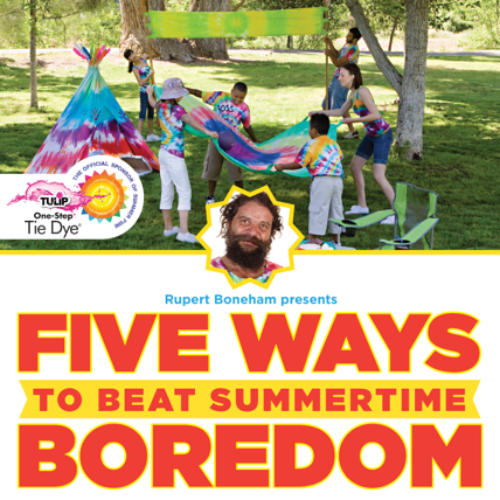 so I've put together the top five easy, summertime activities that will beat the boredom away! Take a look! 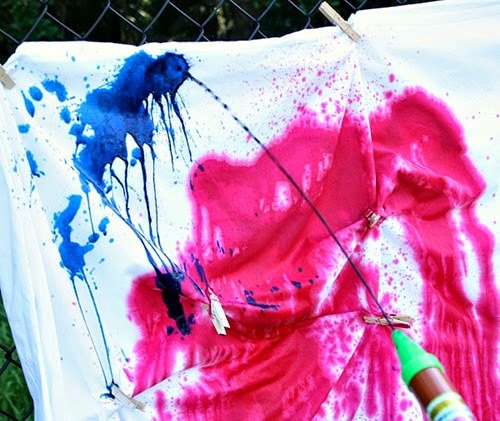 Ice Painting with Tie-Dye…stay cool and be creative at the same time. 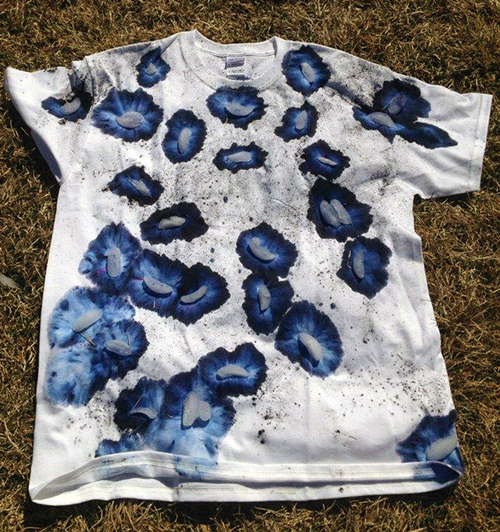 Just drop ice cubes (any size will do) on a shirt, sprinkle the powdered dye straight from the Tulip One-Step Tie-Dye bottle onto the ice cubes, let melt in the hot sun and you’ll end up with a wonderful tie-dye watercolor effect! Water Shooter Tie-Dye water shooters are a fabulous tool to spray tie-dye onto t-shirts that boys and girls alike will have a blast using! This can be an incredibly inexpensive activity since you can usually find shooters of some sort at the dollar store. Mix the Tulip One-Step Tie-Dye colors in the bottle and pour straight into the shooter. Just be sure that the shooters remain aimed at the shirts…unless you’re into rainbow colored skin! 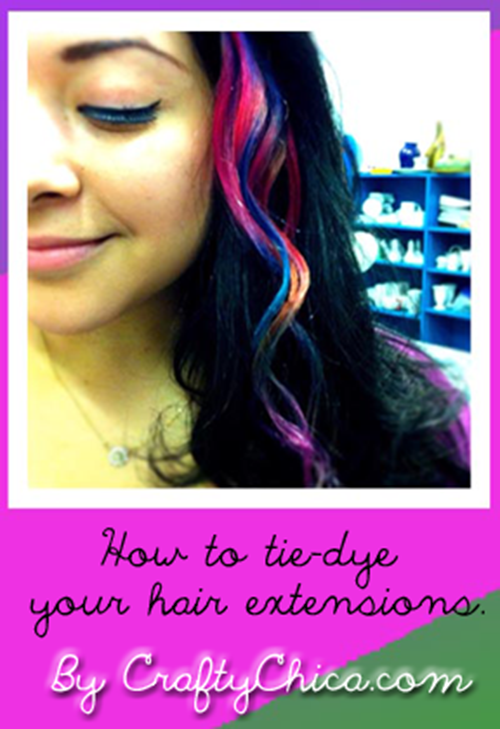 Tie-Dye Hair Extensions – live life in full color this summer by making and wearing tie-dye hair extensions. Clip-in extensions are super inexpensive so you can make a set to match every summer outfit! Find the tutorial on our blog here. 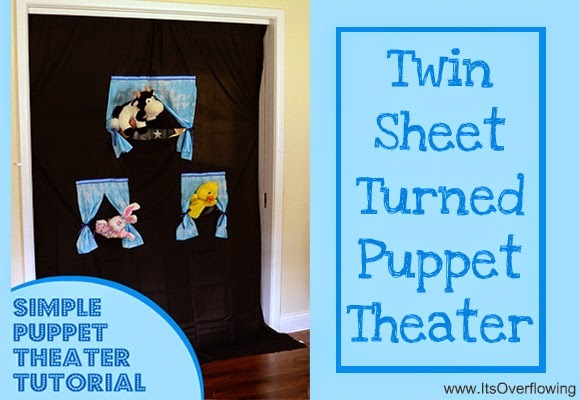 Tie-Dyed Puppet Theater – here’s another double boredom buster as you’ll love tie-dyeing the fabric, then hosting a variety of puppet shows! Extra points if you use leftover fabric to make your own puppets!! See how to make this cute project at It's Overflowing !